You may not necessarily need it but should you have it? I think the answer to this is usually yes! If it fits into the budget, so many benefits can come from having life insurance for your newborn. So many other pitfalls that eat into a monthly budget could be re-evaluated allowing you and your family to execute on these benefits. So what are the benefits of newborn life insurance? Why would spending premium dollars protecting a newborn’s life be so beneficial or allow for so many perks and advantages? Let’s take a look into some of the rewards that come from having life insurance on a newborn. Pay Your Child’s College Fund! Should You Buy Life Insurance for Your Newborn Baby? No one can predict the future. Yes, this sounds scary, but it’s the truth. Obviously, we all want to never even think about the horrible things that can come from life. However, you and I both know, things do happen and they are unpredictable. The cost associated with this could be unbearable and financially ruining. Medical test and bills may be stacked against you in the event that something tragic takes place. The cost will also arise after the fact for final arrangements, adjustment period time and often travel for family coming to those said final arrangements. With a life insurance policy in place, some of these outside forces causing stressed can be limited or eliminated. As much as no one wants to even think about this possibility, I can assure you if the time ever came, the added financial ruin it could cause would not brighten the situation any. Having a life insurance policy in place on the newborn could considerably limit the damage that the unknown causes in these situations. This price for placing life insurance on a newborn baby can be next to nothing compared to rates you and me are used to looking at or hearing for ourselves to be insured. You would have several options on policy type but for basic protection, you are looking at very low premiums for a good policy. It’s likely that the cost of a coffee at Starbucks once a week would afford you the ability to gain coverage on a newborn and not even restructuring a monthly budget. You don’t need a huge amount of insurance on the newborn and you can even look into different options such as whole life. All life insurance policies except for whole life is theoretically a gamble. You pay premiums for said amount of time “in case something happens”. On adults, the cost for this gamble is higher which in return makes the premiums higher. The opposite is true of life insurance for a newborn baby. The risk is small but it also makes the cost very small. Can you honestly look at your checkbook and say with certainty that if anything did ever happen, you would still feel no-hit by the medical cost or final cost associated with the death of a newborn? For most, the answer is no but if the answer to that question is yes, many more benefits come from life insurance for a newborn. Although it’s not necessary to obtain a whole life insurance policy on a newborn, it can be even more advantaged than other forms of life insurance. A whole life insurance policy has a cash value aspect to it. Premium dollars are spent, the mortality risk is deducted for the death benefit portion of the policy to be funded. A whole life insurance policy on the other hand also builds a cash value at steady rates of returns. They are not flashy returns but they are stable and safe. If you are familiar with any financial savings element, compounding interest is one powerful factor. All that’s needed to amplify this effect is time. Time is something nobody has more of than a newborn baby. Goals should be placed and emphasized on what you expect out of your whole life policy for your newborn. Do you want it just as a savings element or as a special gift at a certain age? Informing your life insurance agent on what you are truly expecting and wanting out of your life insurance can play a big role as well because these policies can often get more complexed. Whole life policies can be tailored many different ways to fit your needs and desires for the life insurance policy. Several things need to be considered when shopping for life insurance. Your life insurance agent will be able to help you effectively decide what you need and are desiring your newborn’s life insurance policy. 4 – Your Child’s Life Insurance Policy is a College Fund! In reason number three, we touched on how a whole life policy could benefit yourself and your newborn. We didn’t dive too much into an example of how these whole life policies are often structured for a newborn. The cash growth and compound interest need only time to be really effective. So how much time does it need? This is also not black and white but we often structure and work with clients to make a whole life advantaged to help with college planning and funding. Assume you start a life insurance policy on a newborn shortly after birth. If you pay your premiums and don’t borrow against the policy, it can grow to a substantial amount of tax-advantaged college funding cash. You can even structure your child’s policy to have structured cash withdrawals over a 4 year period while attending a university. This will allow the remaining cash to continue to grow, present better tax advantaged and keep your policy in force for a longer period of time. 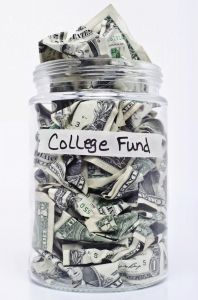 Limited options for a solid college funding plan also makes life insurance policies a viable option for this need. With many life insurance carriers, you may even find the rates of return aren’t that far off, other avenues such as 529 plans. Speaking with an experienced life insurance agent can help you navigate this in more depth. Is this policy for protection only? Are we looking to grow this policy in cash value or possibly death benefit? Is the main goal, addition college funds down the road or maybe a house down payment? Knowing all of these answers will only help your agent make the most suitable recommendations. Life Insurance carriers have different perks with whole life and term life insurance policies so having an agent that has the ability to be flexible and explore all options can help immensely as well. So we already know that the whole life policy can help with college but what else? Maybe you already have college savings for your child and it’s taken care of. Well, that may be an even better reason to purchase the insurance on a newborn. If all they need to be beneficial is time, why not wait more time to use them? Maybe you place the policy in force on a newborn at age 0. The first real need could be a down payment on a home at age 23. It could be extra money for the cost of a wedding? The same benefits apply. Structured properly, the life insurance would be providing protection and tax advantages. You should always consult an accountant for specifics on tax law, but nonetheless, the whole life policy could prove to be a great safe investment for your newborn baby and his or her future. Other options always exist to handle these financial events in one’s life. However, life insurance is very unique and no other financial avenues exist that present all the same benefits as a life insurance policy. So you have been contemplating and wrestling with the idea of purchasing life insurance for your newborn son or daughter. Above we discussed how this may help you. The cost will be low and it’s a financial tool that can’t be duplicated. Is it always the answer? Absolutely not. But is it a great option available that provides many benefits? You bet! The protection factor that can help transition periods during a time of grieving is just one of those benefits. Compound it to what that safe invested amount could develop to over the years, it makes it an even more viable option to consider. You should take your time considering the options, the life insurance carriers and the life insurance agent who represents you. Many policies can be more advantaged than others depending on what your special situation requires. When you are deciding if life insurance for a newborn baby is right for you, consider this. It may not present an absolute need for you but it would be hard to argue with the fact, it doesn’t present many downfalls if it’s something that fits within your current budget.